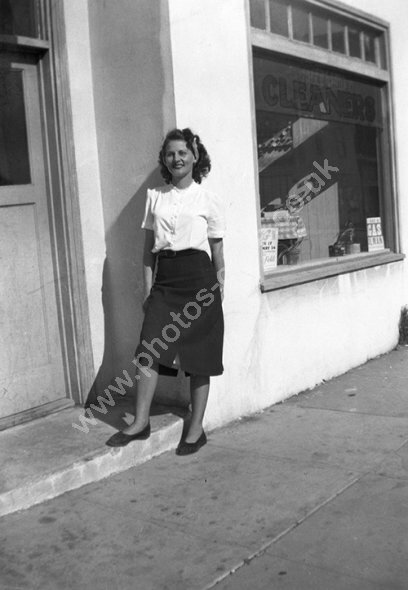 Typical shoes, skirt and top from the 1950s America along with hairstyle of the day. For commercial use of this photo, including use on another website, please visit Alamy.com and search for M5JJC9. For a one-off print please see below.